8-Bit Girl: Skyrim DLC Entitled "Dawnguard"
After hinting on Twitter, Bethesda have finally announced the title of the first set of Skyrim DLC. 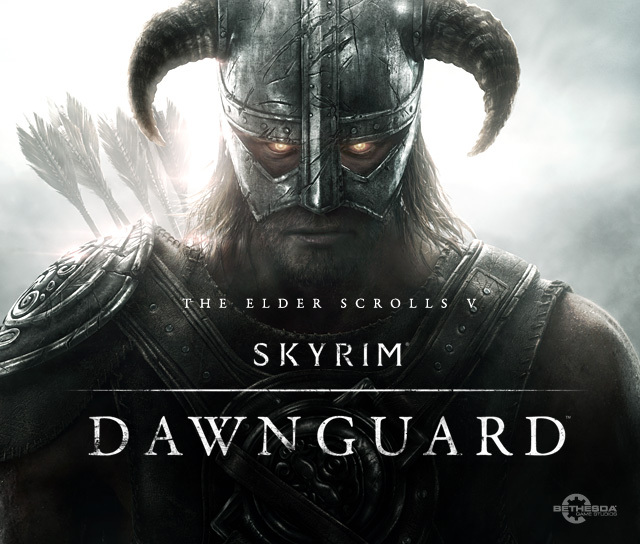 Entitled Dawnguard, the company have not released any other information about the DLC other than that it will be released in the Summer. More information is expected at next month's E3. To tease fans a little further, Bethesda also released an image on their blog, which shows a horned hatted guy with some sinister looking eyes. So whilst we all have to wait for this to land, at least Skyrim now has some Kinect functions for those wishing to scream some dragon shouts at their screen. Enjoy people. What a tease from Bethesda :P Just a picture and no details.